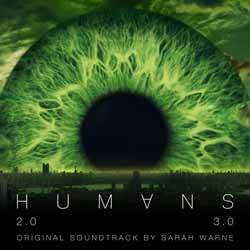 For those, like me, who loved Cristobal Tapia de Veer's electronic score for series one of Humans, Sarah Warne's music for series two and three might not be quite what you're expecting. Whereas de Veer opted for depth and variety, sadly Warne goes for a rather bland palette. It's an atmospheric enough collection, but there's nothing here that stands out and makes you take notice. While it's not a bad score, it's also not one that has much to recommend it. I've listened to it on and off for several weeks and still feel no closer to getting to know it as I did on the first listen. This is another score that's probably best heard in the show and not in isolation where the context of the tracks is lost.